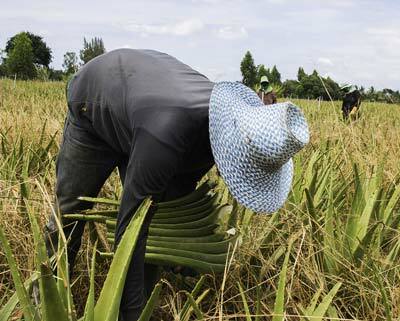 Since ancient times, people have used aloe vera as a phenomenal healing plant. 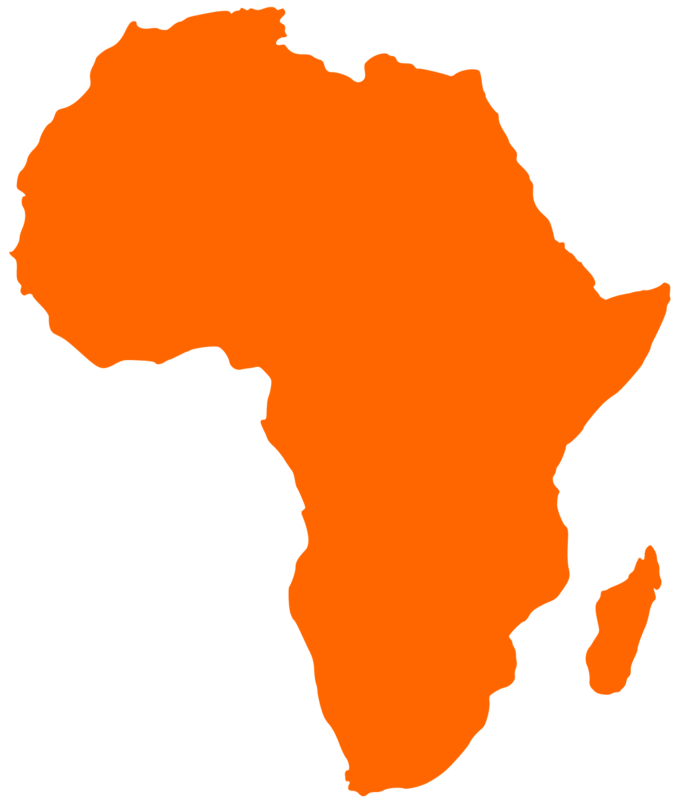 It was said to be so vital that Alexander the Great sent an entire army in conquest of a faraway land just to obtain it. Now, you can experience the benefits of this amazing compound, with Health Ranger Select 100% Organic Freeze Dried Aloe Vera 200:1 Extract Powder, the most potent and laboratory verified aloe vera available on the market today. Aloe vera didn't remain just an ancient healing agent. Today, modern medical systems and naturopathic healers use it across their healing practices. That's why we developed Health Ranger Select 100% Organic Freeze Dried Aloe Vera 200:1 Extract Powder as the purest you can find. Our powder doesn't contain any artificial fillers, no preservatives and is laboratory tested for heavy metals. 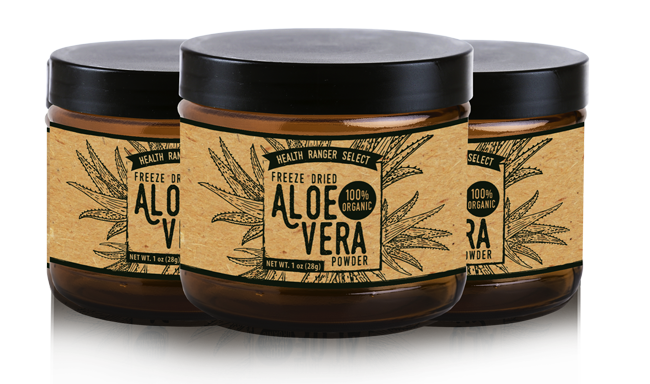 In fact, our aloe vera powder is sourced only from carefully selected growers in Mexico, and Health Ranger Select 100% Organic Freeze Dried Aloe Vera 200:1 Extract Powder is routinely tested in our internationally accredited laboratory for purity and composition. Native to Africa, aloe vera is commonly cultivated as a potted plant and has two distinct types of medicinal use. The clear gel contained in the leaf is a remarkably effective healer of wounds and burns, speeding up the rate of healing and reducing the risk of infection. The yellow sap from the base of the leaf when dried is known as "bitter aloes." It is a strong laxative, useful for short-term constipation. Aloe vera has prickly, gray-green, succulent leaves that yield effective medicinal substances. In addition, aloe vera naturally contains many vitamins including A, C, E, B1, B2, B3, B6 and B12. Essential minerals include calcium, magnesium, (trace) sodium, iron, copper and potassium. The plant is also chock full of plant-based "mucilaginous polysaccharides" which are powerful molecules for healthy living. Wound healing: Aloe vera contains a number of compounds necessary for wound healing, including vitamin C, vitamin E and zinc. 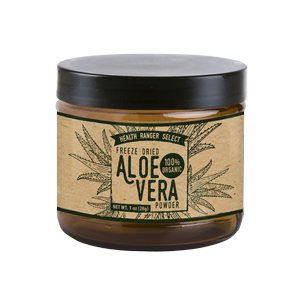 Unlike many other anti-inflammatory substances, Aloe vera has been shown to stimulate fibroblast and connective tissue formation, thereby promoting wound repair. Finally, aloe appears to stimulate the epidermal growth and repair process, presumably due to its polysaccharides. Mannose-6-phosphate, the major sugar in the Aloe vera gel, may be its most active growth substance. Another interesting effect of aloe in wound healing is its ability to counteract the wound healing suppression effects of cortisone. In one study, Aloe vera at doses of 100 and 300 mg/kg daily for 4 days blocked the wound healing suppression of hydrocortisone acetate up to 100% using the wound tensile strength assay. The authors suggested this response was because of the growth factors present in Aloe Vera masking the wound healing inhibitors.